Going to Norway for the world’s northernmost jamboree with a knee injury was not what I had intended after eight months of hard work fundraising and preparation. But, I was grateful that I was still able to go with the Mersey buy modafinil ed and more Weaver District contingent and promised to make the best of it. I knew the planned overnight hike and high ropes were definitely out for me, and I just had to see how I could manage with everything else, but at least I was going to be involved in some way (and as I had told my Scout leader that had to be better than being in school)! To get to Bodo we had 24 hours of travelling with three plane journeys and an overnight layover in Oslo airport. 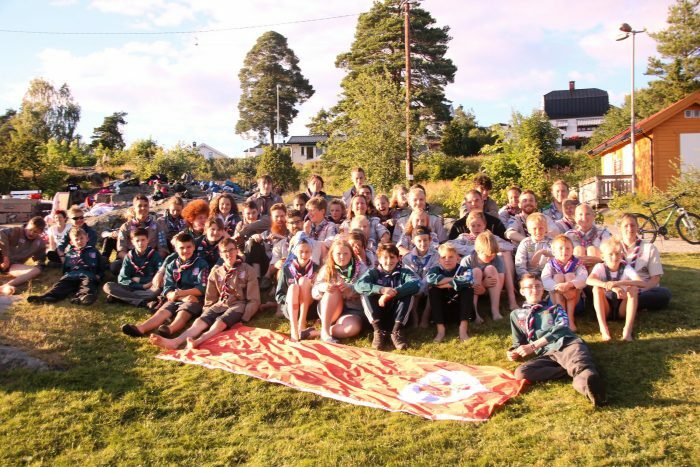 After we arrived at the Jamboree site we met up with our Norwegian friendship group from 1st Fagerstrand Scouts, who had kindly loaned us some tents and had set them up for us. 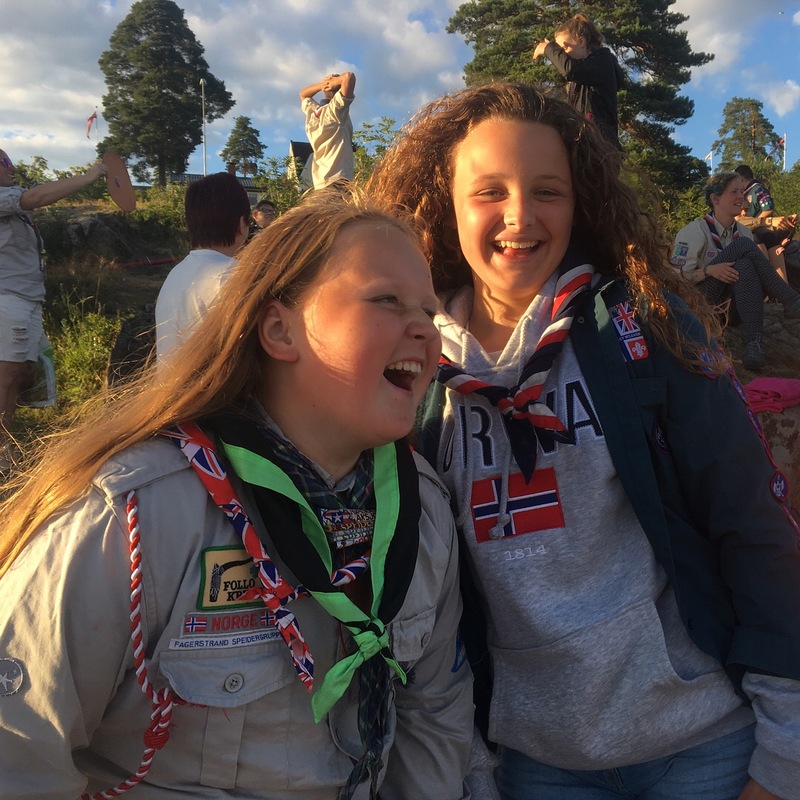 I quickly became friends with a girl called Amalie- It worked out really well as the two groups were doing some different activities at different times, there were occasions when I was unable to join my group activities and instead joined in with the Norwegian camp based activities. 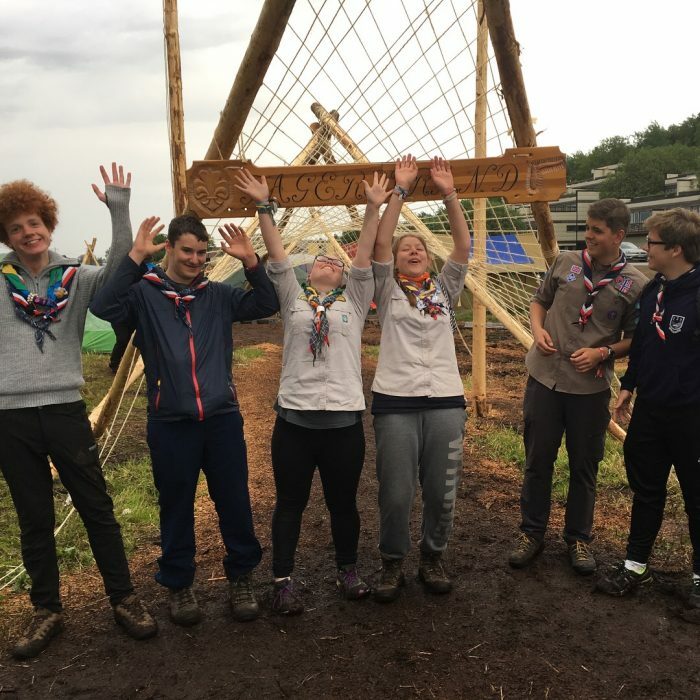 I cooked, played card games, and learnt pioneering and improved my fire lighting and knife skills – they were great at lighting and cooking on open fires. Most of the Norwegian group could speak really good English which was a massive help, having put my wrist band on too tight Amalie was able help me translate to get a new one. After the jamboree was over we headed South of Oslo to Nesoddento stay in a lakeside log cabin which belonged to our friendship group from Fagerstrand. Fagerstrand is a small area in the district of Høvik, across the fjord from Nesodden. One evening we cooked a traditional English roast dinner for our Norwegian friends so they could sample one of our favourite meals. One of my favourite days was the day the Mersey Weaver contingent went to do the high ropes course, and I because I couldn’t go I was invited to spend the day at Amalie’s house and go to the Fagerstrand beach known as “Beauty Beach” with Amalie and her family for the day. 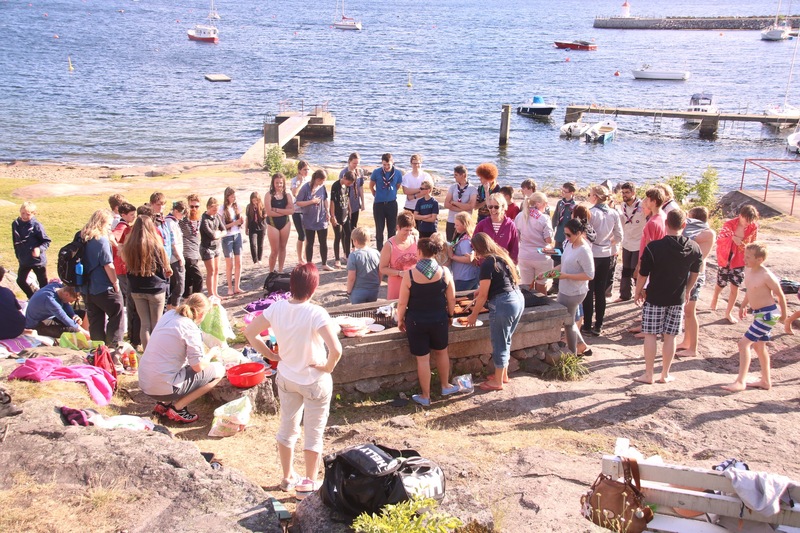 I met Amalie’s school friends and spent the day swimming and diving in the sea. 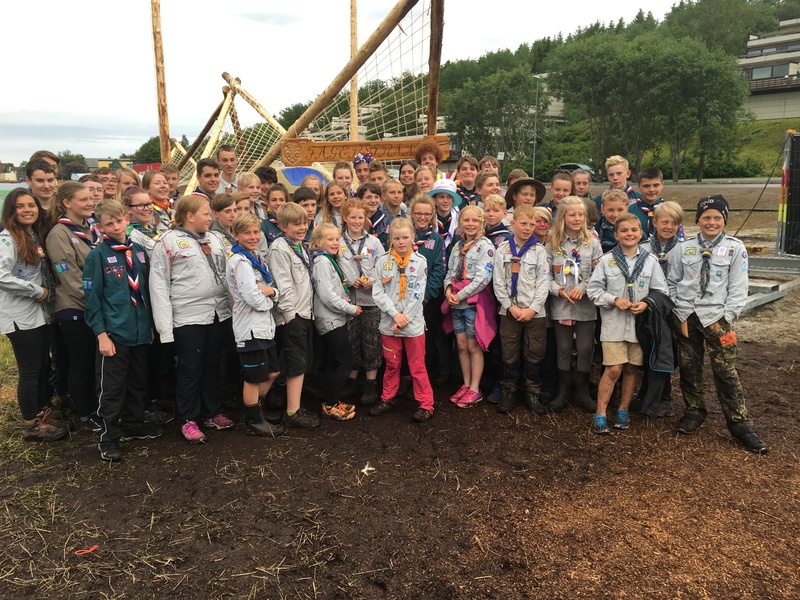 Later on for our final evening in Norway we were joined by the Mersey Weaver Scouts and the 1stFagerstrand group. We all had a lovely barbeque of reindeer and hotdogs on the beach and said our goodbyes to each other, all promising to meet up in the summer of 2018 at the Cheshire Jamboree known as Chamboree. Spending time with Amalie, I was surprised to learn that many Norwegians have two kitchens and living areas to make the most of the seasons,large outdoor rooms for the summer months and a smaller inside rooms, which are easier to keep warm, with big fires for the cold winter months. The houses are so very different to here in England, mostly wooden and painted in brightly colours, with very steep roofs to help the snow slide off in winter. It was interesting to learn that all Norwegian houses must have external lights and in the winter these must be on constantly for safety reasons because it is always so dark. My first international experience was not what I thought it was going to be, but in some ways I think because of the situation with my knee I enjoyed a greater sense of Norwegian hospitality and international friendship. I’m now looking forward to Amalie coming over to England for Chamboree in July 2018, and to her and her family hopefully staying with us next summer. Fingers crossed there will be other international opportunities I can take part in, but this time without any injuries. One of the biggest things I learnt was that international scouting gives you so many amazing experiences that don’t just end when the expedition ends.